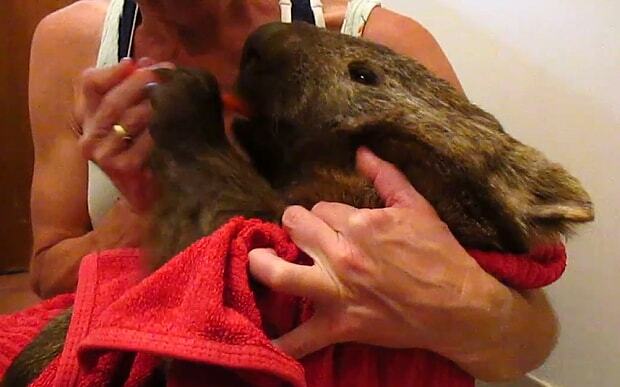 An old and frail wombat has been rescued after he was found injured from a territorial fight with another male. Donna Steppan, who works at Sleepy Burrows Wombat Sanctuary, took the weak wombat in after he was found hiding on a veranda near the centre in New South Wales, Australia. 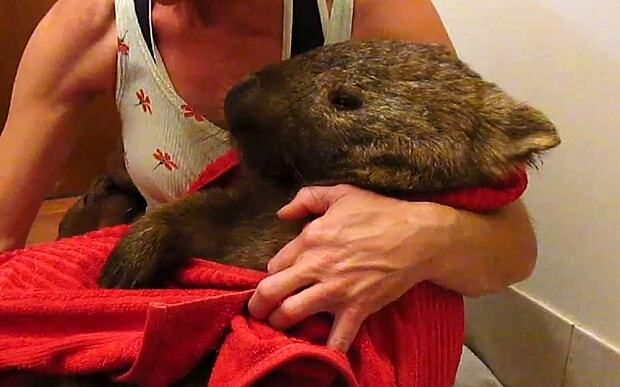 The fragile wombat was very dehydrated and it’s thought he has reached his final days after being attacked. Ms Steppan said: “Male wombats kill for territory so when a male wombat is in trouble, they do things out of the ordinary to survive. She added: “He arrived overnight on an elderly couple’s veranda, very weak from hiding as they don’t eat unless it is safe. “They knew about us thankfully and called us about him, otherwise he would have been shot. “We went and fetched him and he is indeed an old male wombat who has been beaten up and just needs to be treated and to have a safe place to live out his final days, which he of course will get at the sanctuary. “Like I said, the beauty is in the fact he has gotten and made it to the age that he has in the wild.